The decision of the Independent National Electoral Commission (INEC) to suspend the electoral process in Rivers State has been described as an attempt to rob Rivers people of their choice to change an ineffective and bloodthirsty administration. A chieftain of the party in the South-South region of the country and former spokesman of the new People’s Democratic Party (nPDP), Chief Eze Chukwuemeka Eze, who sounded this warning in a statement issued and circulated in Port Harcourt on Monday morning, said INEC decision, if allowed to sustain, would be imposing a constitutional and violent crisis on the State. Eze, who has been vocal about the tone of the political development in Rivers state, noted that the governorship and House of Assembly elections had been comfortably decided against a system that had imposed heavy security as well as economic burdens on the people of the State, adding that suspending an already concluded election in the state would only be conferring an undue advantage on the PDP as well as Governor Nyesom Wike, whom the people of the State had overwhelmingly rejected. The party chieftain, who boasts of a close relationship with the River state Governor, said the people of Rivers had, as had been gathered from results so far gathered, made their choice in Engr. 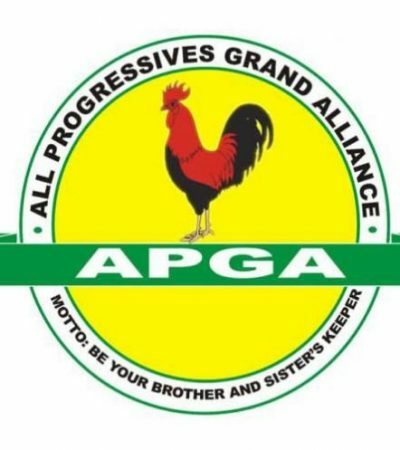 Biokpomabo Awara, the governorship candidate of the African Action Congress (AAC), adding that the latest card being played by INEC is not new as it had been used in the past to rob the APC House of State House of Assembly member-elect for Port Harcourt 3 State Constituency of his mandate till date. He, however, called on the INEC to be patriotic, honour the wishes of the people of Rivers state and declare the governorship candidate of the AAC, Engr. Awara, as the winner of the governorship contest and ensure that the franchise of Rivers people is allowed to count. “We are aware that the strategy adopted by INEC is to try to save a drowning man, rejected by his people. INEC adopted similar strategy in 2017 during the bye election to fill the vacant PH 111 State Constituency seat when the APC candidate was at the verge of winning the election only for INEC to arrest the result and suspended the announcement of that results till date. “If INEC has such an idea of arresting the results of this concluded election, they are not only trying to subvert the constitution of the Federal Republic of Nigeria, but are attempting to deny the people of Rivers state their choice of who is to govern them”, Eze said. He, however, pleaded with INEC to avoid engineering both constitutional crisis and unprecedented violent crisis that will result if INEC decides, for any reason, to deny the Rivers state people their choice of candidate. Eze also noted that it is an act of impunity and lawlessness for Governor Wike to authorise the announcement of fake and unauthorised INEC results in Radio Rivers while INEC’s Committee on the conduct of Rivers State elections is yet to submit their findings accordingly. This is unfortunate, unacceptable and condemnable. The Nigerian Broadcasting Corporation (NBC) should take note of this unethical act and act accordingly,.Eze counsels. If this Wike’s fake result is what INEC intends to announce then they have failed as we have all the authentic results as announced by the EOs at the various Local Government headquarters. Eze noted that Rivers State is tired of allowing a man only known in his Obio -Akpor Local Government of Rivers State to continue to preside over a State with divergent cultural and tribal inclinations like Rivers State so INEC should try and respect the stand of Rivers State people on Governor Wike. “What the outside world doesn’t know about the politics of Rivers state is that Governor Wike is overrated in the politics of Nigeria. We all are aware he rode on the blood of Rivers state people to becoming the Governor of the State and how he has spent four years just to decimate all that Amaechi, his mentor and Lecturer in the arts of politics, achieved in the State. “Today, the educational, agricultural, health and every sector in Rivers state are all ruined. He has reduced the one time Garden City to Garbage City full of filths. The security and safety of citizens of the State are no longer secured thereby scaring away both foreign and local investors. Salaries of Civil Servants and pension of Pensioners are not paid while we have a government that spends huge of money on trivial issues that have little or nothing to do with the future or greatness of Rivers State. “So if Rivers state decides to vote out such a Governor what can INEC do to change the revolutionary step that the people of Rivers State have adopted to usher in the David of Rivers State (Engr Awara) as doing so will be fighting the divine purpose of God to free Rivers State from the hands of a leader who have misused a golden opportunity granted to him to write his name in gold. “The Federal Government should prevail on the leadership of INEC not to do anything to jeopardize the peace of Rivers State”, Eze implores.